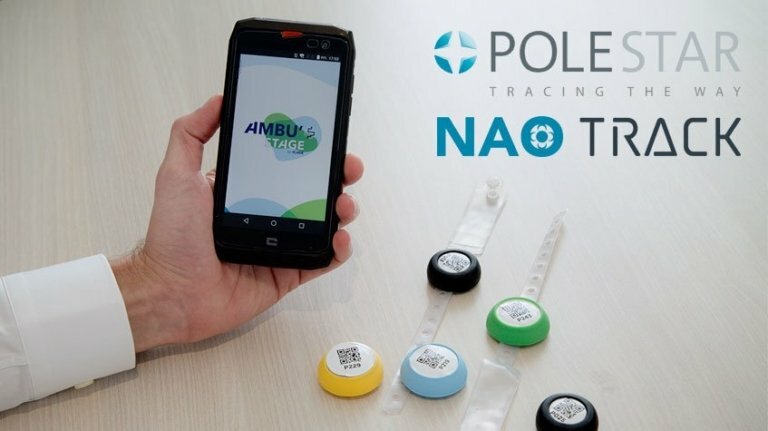 We are proud to be part of this amazing project, Ambu’Stage powered by the NAO Track technology by Pole Star. This geolocation service improves the efficiency of outpatient care, significantly assists the staff and improved patient journey. This saves an incredible amount of time on the operating programs. Tags are fastened to the wrists of patients and their rolling lockers. The tags send signals which are captured by antennas (NAO BlueListeners) installed on the walls. The antenna make physical measurements based on these signals, send the measurements to our servers which calculate the position in real time. These positions are then sent to the Ambustage platform which exploits them. Ambustage allows to geolocate the patient and his/her rolling locker to which he has been assigned. Currently, the Ambustage system allows to know exactly where the staff is in each operating program for all the actors involved in the operating block. This allows to prepare the patients as they arrive in the room.